16/3/16: Image of contented colleagues working well together! Summary: Labour MPs need to make a serious effort to realign their policies to best match the changed centre of gravity of Labour views represented by the vast new membership. There is no divine right for any MP to keep their job. Each of us must evolve our ideas and attitudes in response to the rapidly changing political environment. The centre of gravity of the Labour Party has shifted. Many people naturally on the centre-left were energised by Jeremy Corbyn’s vision of a markedly more socialist party than Labour has become in recent years. Many of these people will have voted Labour at the last election because the alternative was (and indeed is) much worse. Most were not particularly enthusiastic about the neo-liberal New Labour which had great difficulty in articulating its difference from neo-liberal Conservatism. Labour is now by far the biggest political party in Europe, a remarkable achievement in a year that has shown widespread disenchantment with political structures in most European countries. These new members are not crazed lefties, desperate for the politics of confrontation and struggle from the last century. Every party has extremists and Labour has members on the far left of the political spectrum but they are a tiny minority. The Tories have a wonderful variety of extraordinary headbangers on the far right, and they manage to cope with them. It is the centre of the new Labour movement that is key. Labour will only come to power if enough Labour MPs are elected. A current MP has no God-given right to continue to be an MP if he or she no longer reflects the new political spectrum that defines the Labour movement. In every walk of life we now have to reposition ourselves to best match the opportunities for the future. People just don’t get jobs for life any more and that is certainly true if you happen to be an MP. Stasis simply doesn’t work, and failure to change will lead to defeat. It is also true of the Labour leadership. They need to reposition their strategy and methodology of leadership to reflect what the membership actually wants. A strong vote for Jeremy Corbyn does not mean total approval of everything he is doing and how he is doing it. But it does mean much clearer approval than for the ways and policies and attitudes that led to the humiliating defeat of Labour only 16 months ago. Simply waiting for the Labour leadership to sort out the divisions within the party will not be enough. The local Labour parties need to engage with the new membership and articulate what it is that they and the rest of their constituencies actually want addressed so they can tailor local Labour policy accordingly. In turn MPs and candidates must understand how they should reposition their own political priorities to match those of the activists and party members who ultimately will have them elected. Each MP needs to identify key policy areas that are particularly important to their constituents, and work with that constructively. Even if the Labour leadership is somewhat left behind in this realignment it will ultimately lead to the maximum Labour vote whenever the election occurs. 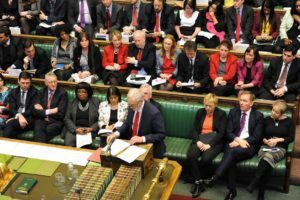 MPs who look as if they can really deliver votes will be in the strongest position to influence party policy and this is the influence above all that might assist the Labour leadership to align better with the Parliamentary party. Jeremy Corbyn is already much better aligned with the membership and that is why he will be re-elected leader so overwhelmingly.